Step with an open mind into one of the most closed and unknown countries in the world. 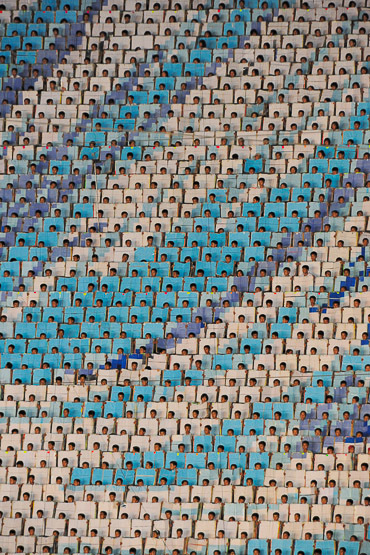 North Korea is not only wonderfully interesting, but also surprisingly accessible. 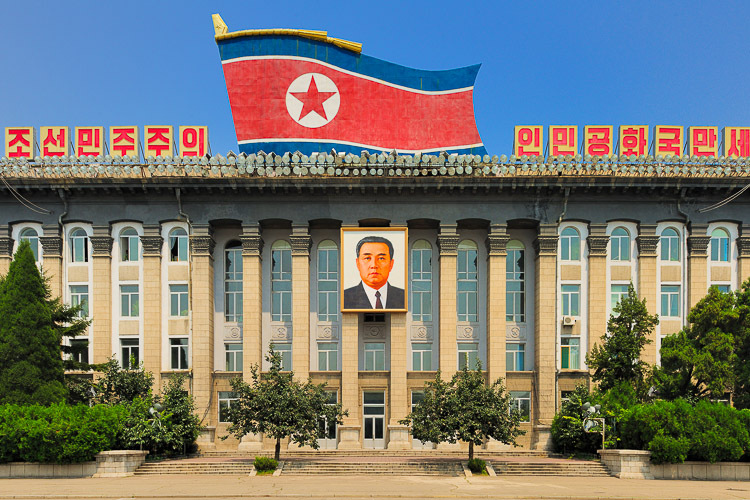 In 2013, the curious traveller who wants to experience one of the last Communist dynasties should book a ticket to Pyongyang, the capital of the Democratic People’s Republic of Korea (DPRK) aka North Korea. Exclusive travel is an understatement here because less than 5000 western tourists visit this little known Asian country annually. If you are the kind of traveller who likes to come home with original stories and photos that nobody else could have taken then put this destination high on your hotlist. We answer five questions on how to do it. 1.How do you get to North Korea? 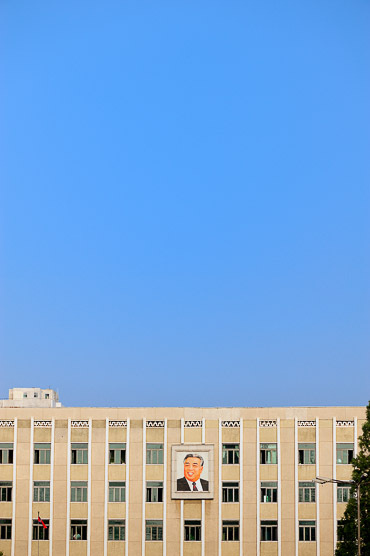 Probably the most surprising thing about visiting North Korea is that anyone can do it (even American Traveler’s). Traveling there is neither complicated nor dangerous and it’s even relatively affordable. 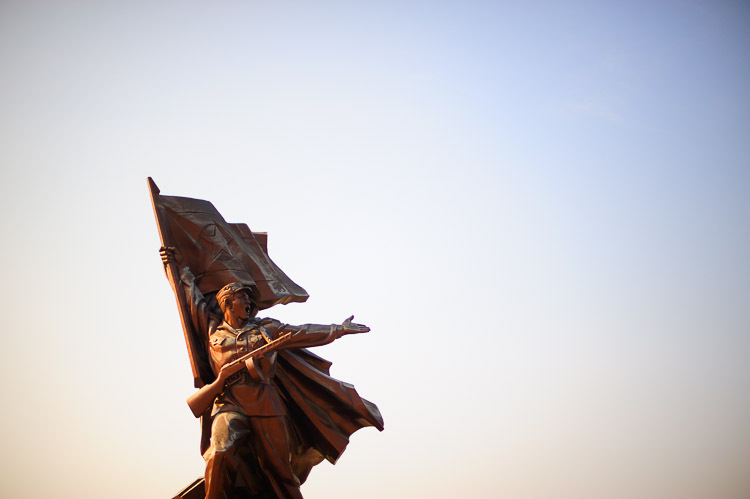 Just book a trip with the English, Beijing-based tour operator Koryo Tours, which has been taking curious tourists to North Korea for more than fifteen years. 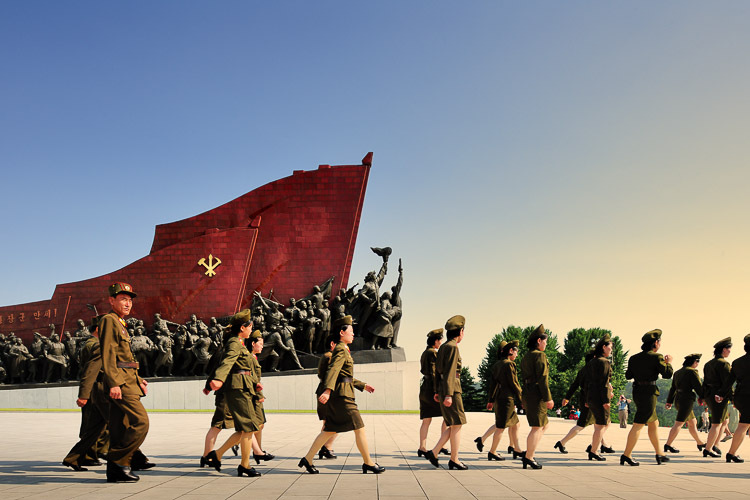 In 2012 Koryo Tours took around 2,500-plus tourists to DPRK of which a third were Americans. 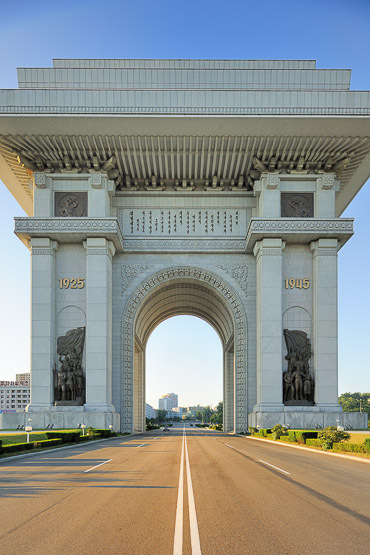 Koryo Tours arranges your visa, books your flight or train from Beijing to Pyongyang and also makes sure that you discover this country in a fascinating way. 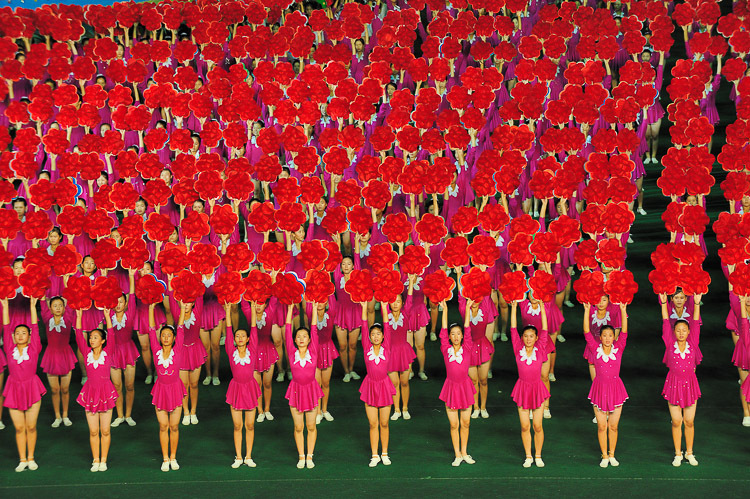 It starts with a 1,5 hour flight from Beijing to Pyongyang in a Tupolev aircraft of Air Koryo, the national airline. 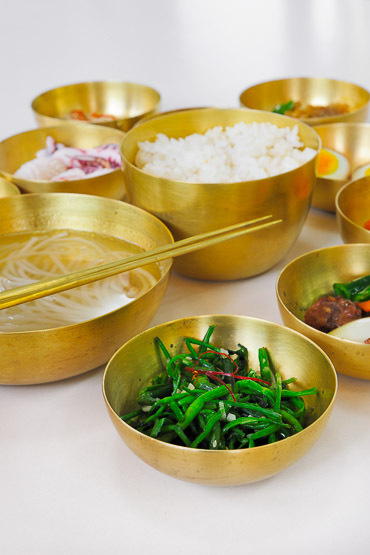 A vintage chic first class, beautiful stewardesses wearing white gloves and red lipstick, a meal that rivals many American carriers and the Pyongyang Times, a North Korean newspaper translated into English. 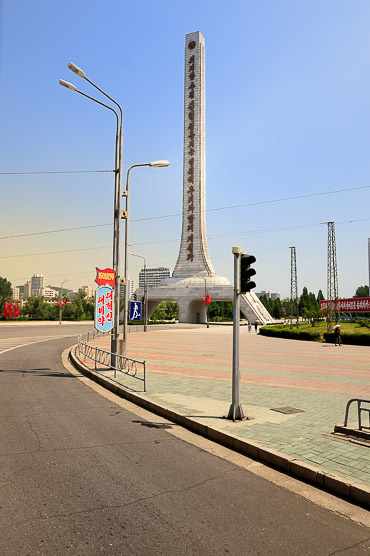 If your flight is at night (which is highly unlikely) the views are spectacular: the Yalu River that separates China from North Korea, on the Chinese side, brightly lit and bustling and on the North Korean side, complete darkness. 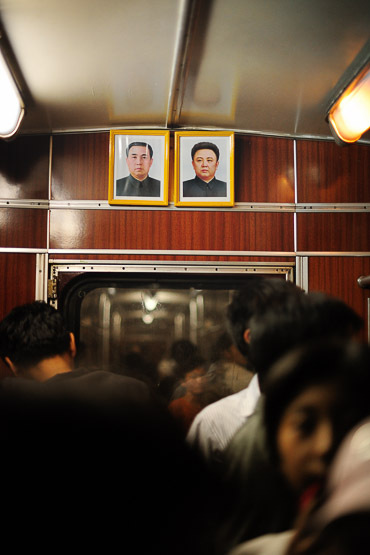 Onboard there are mainly visitors and tourists but also some North Koreans who are easily identifiable by the de rigueur badge of the Great Leader they wear. 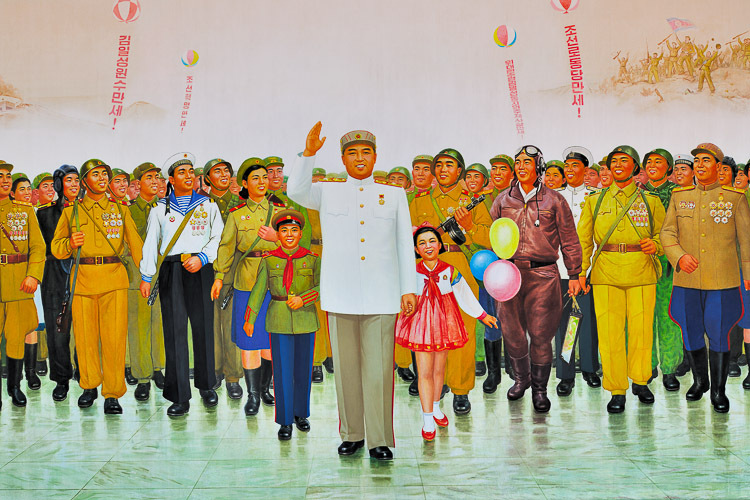 The same Kim Il Sung observes the Tupolev as it lands at Pyongyang’s international airport. 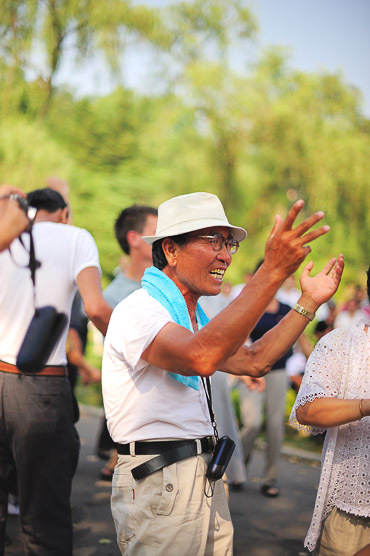 The group of international tourists know in advance what to expect, thanks to a briefing in Beijing the previous day. Laptops, cameras, lenses, video cameras are all allowed. In 2009 we still had to hand-in our cell phone at the airport, but nowadays you can take your phone inside the country and buy a local sim card too from which you can make and receive international phone calls. There are internet connections in most big hotels since 2008, plus the western guides have internet on their smart phones. 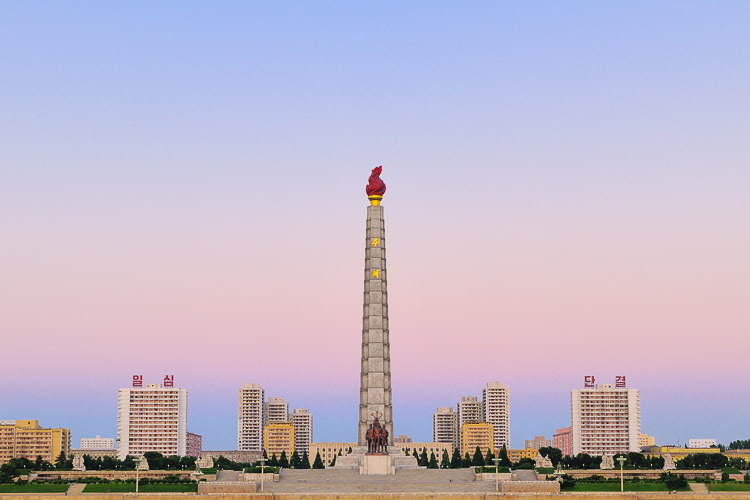 Our British guide Hannah Barraclough from Koryo Tours shares her adventures via InstaGram, live from North Korea. 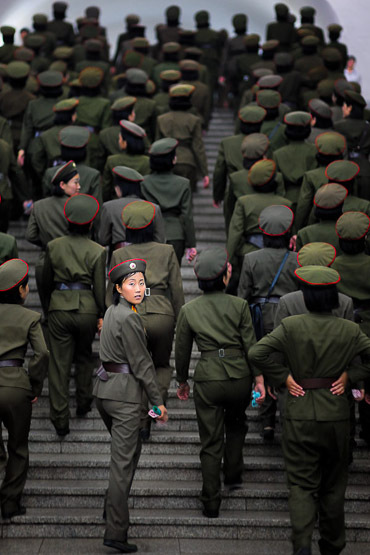 2.Are you free during a trip to North Korea? Yes and no. Exploring alone is a no-no. 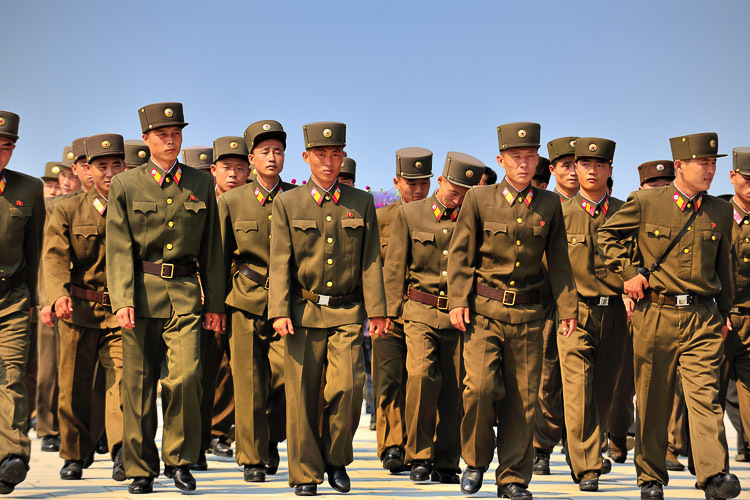 Either you book an individual trip to North Korea and have two local guides and a driver in a stylish vintage Mercedes assigned to you, or you go in an international group. In the case of the latter, two local guides, a Western guide and a driver also accompany you. Requests can be made but because the program is so tightly organized you are kind of restricted as a tourist. 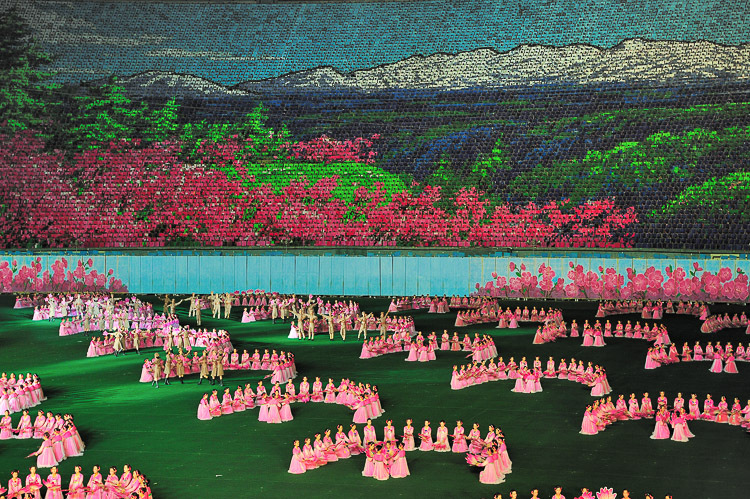 In other words, you get to see the North Korea that the government wants you to see. This in itself is already fascinating. Of course there are limitations. It is strictly forbidden to take photographs of military installations (but isn’t this the case in any country? ), such as the border with South Korea. 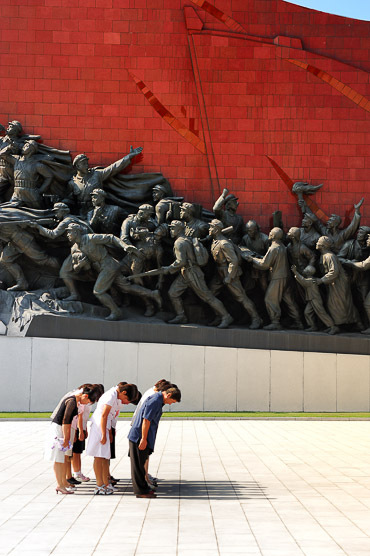 Bowing to statues of the Great Leader is requisite. 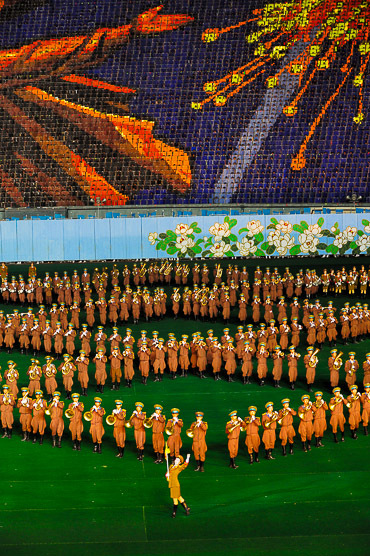 But however well orchestrated the trip tries to be (which is equally true of many Western packages where the tourist only sees and experiences the things the tour operator shows them) you still get a glimpse of the real North Korea. 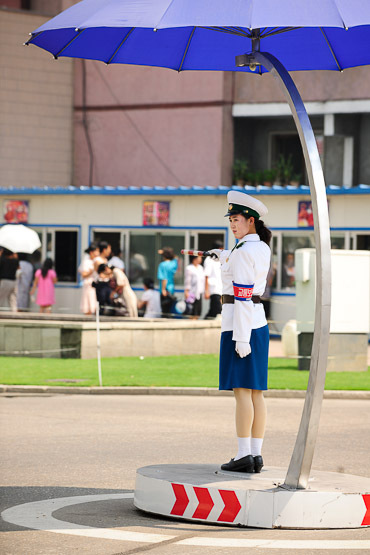 In the capital, Pyongyang, with its empty streets (only the happy few drive cars) stunningly dolled up girls in blue and white uniforms, work the middle of intersections. 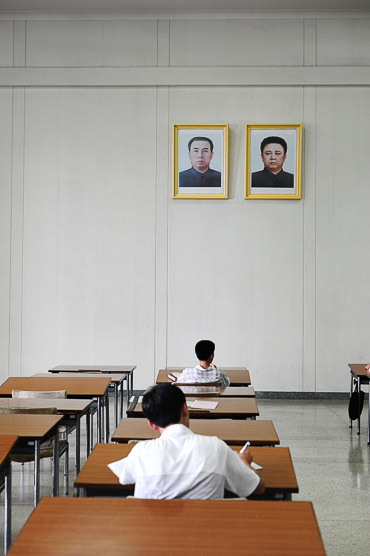 Between the official visits to museums, monuments and mausoleums, you get a remarkable insight into the daily life of the North Korean. 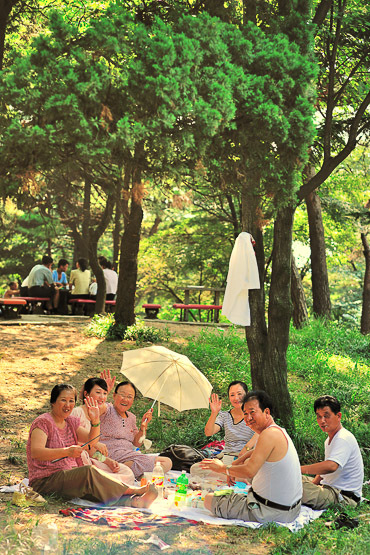 On August 15, Liberation Day, everyone sits in the park. 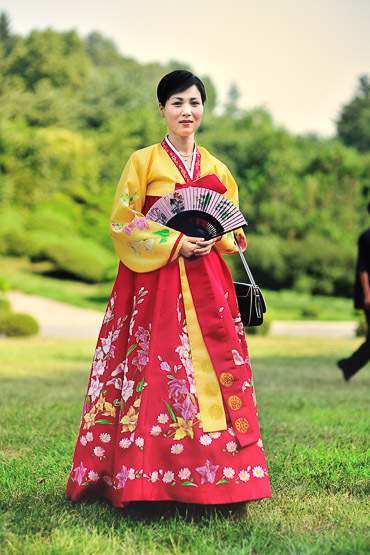 There is picnicking, dancing, singing, playing… Families sit on the grass beneath the trees and most ladies wear sumptuous dresses. It’s a good moment to sit down with the locals and have a great and relaxing time. 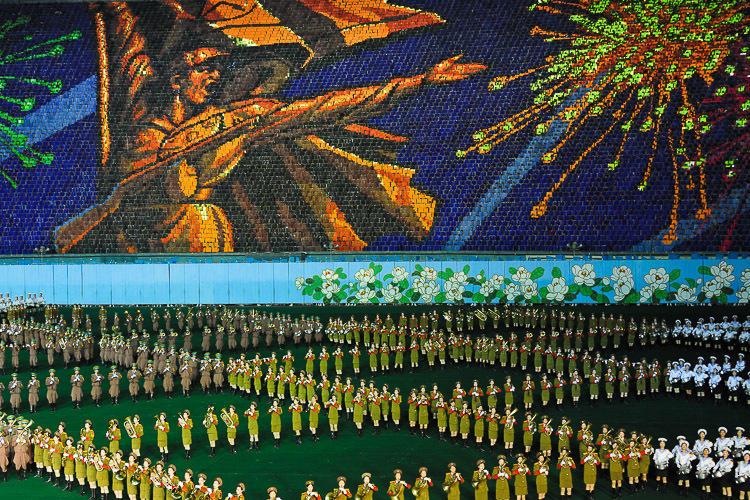 A week in North Korea is a mixture of visits, tastes and experiences. 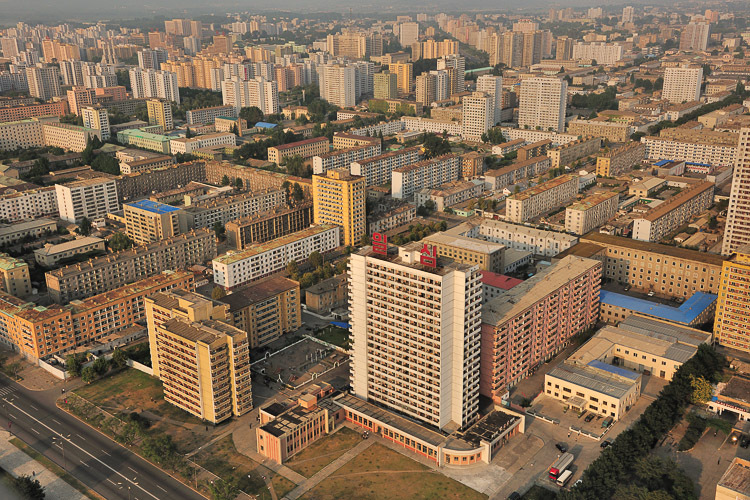 From going bowling in a very rigid, Communist looking bowling alley (balls made in USA), and a ride on the Pyongyang subway, to visiting a school library and a local music school where accordion, piano and guitar are taught with collective zeal. 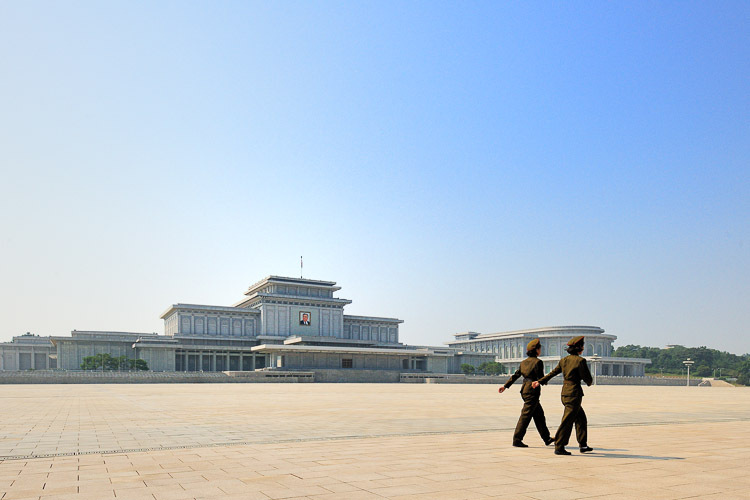 The male members of the group have already been told to pack a tie for the visit to the mausoleum of Kim Il Sung. 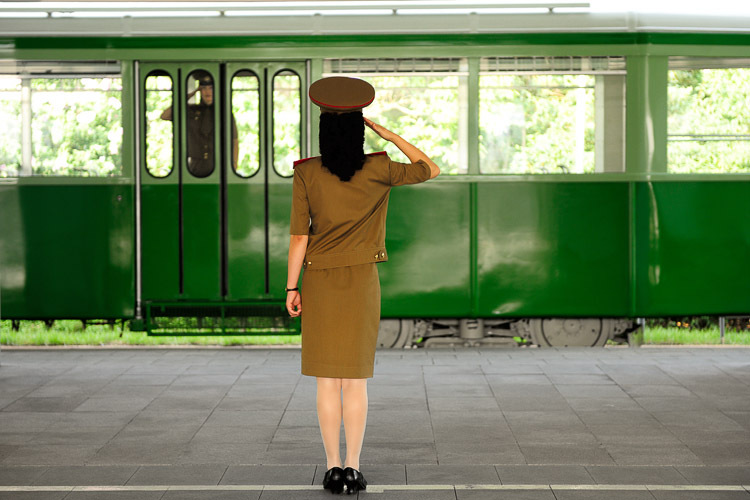 Also included in the excursion package is a visit to the DMZ (Demilitarized Zone) between North and South Korea. On the way there, you pass several border controls on a motorway where almost no cars drive. As a tourist you can stand close to the actual and fragile line between the two foes. 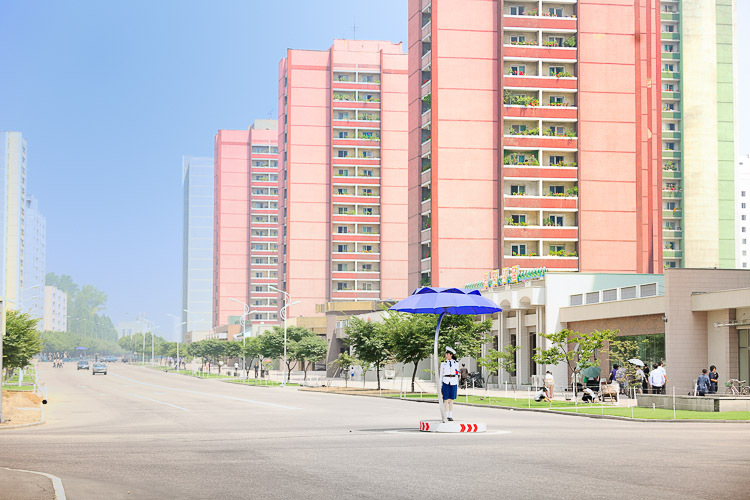 A photo of the blue sentry box and resident guard with South Korea just five meters away, serves as a souvenir. Less official is the beautiful North Korean landscape, to be enjoyed from your window on the many bus trips: green paddy fields, abundant space and the occasional farm or village. 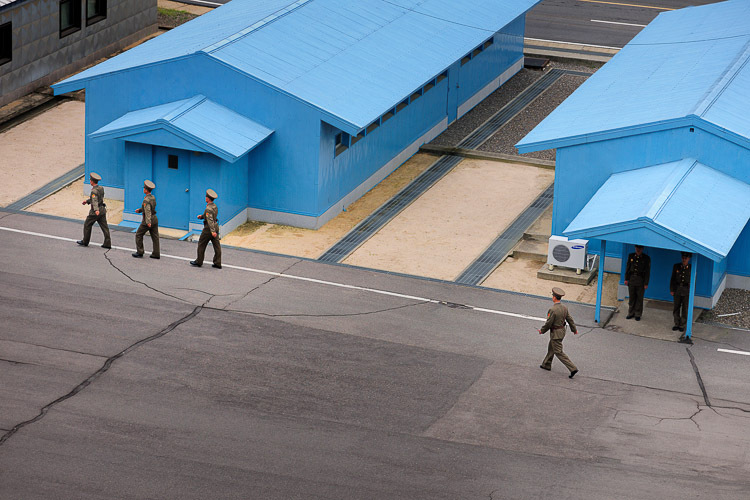 One of these visits takes us to the North Korean coast, heavily guarded by the military. You immediately notice Japan looming across the water on the other side. Despite this detail, a relaxing gourmet lunch follows at a small restaurant on the beach with freshly grilled fish, duck and seafood. 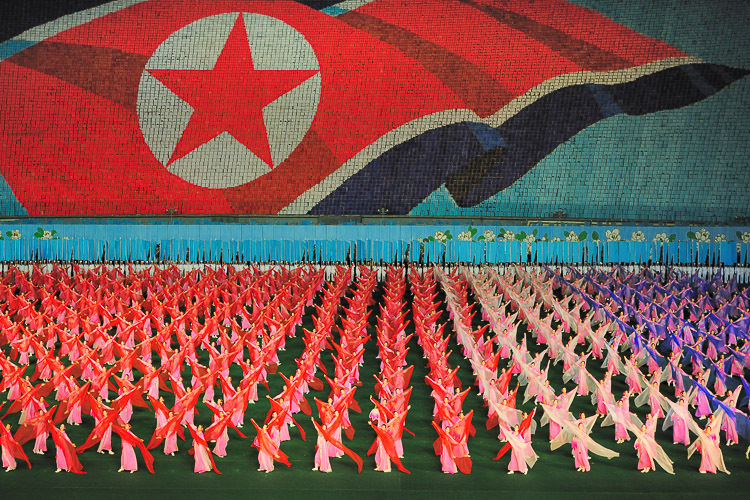 4.Is visiting North Korea something for everyone? 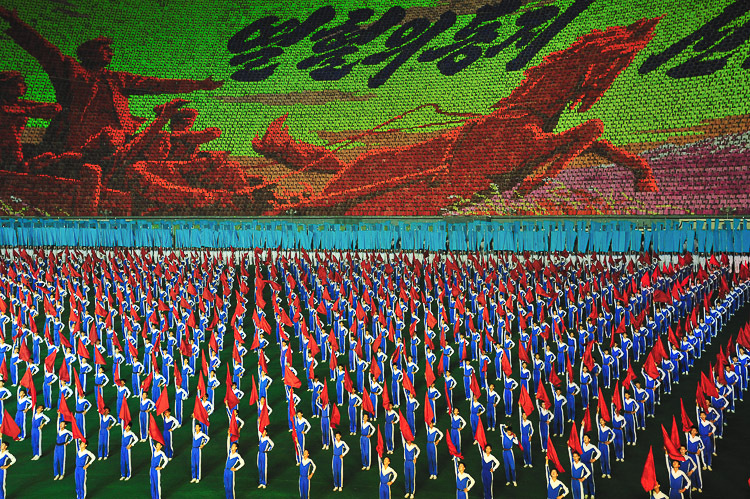 Some tourists may wonder whether travelling to a country like North Korea is ethically correct. No doubt, everyone decides for himself or herself but the same equally applies to other countries that are not 100% politically correct or corruption free. 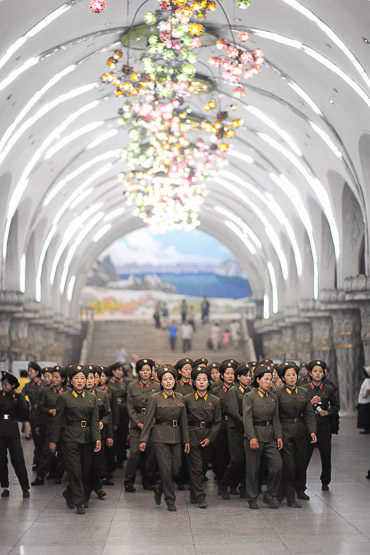 Tourism is a source of income for the North Koreans. 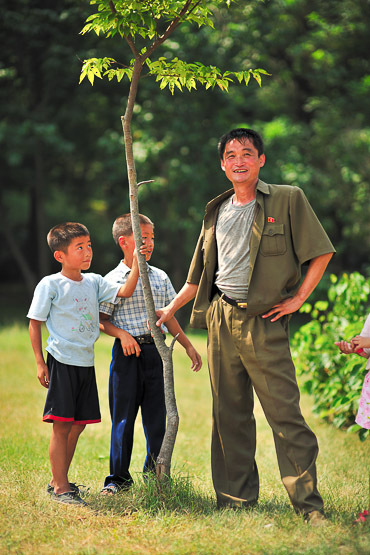 Another important aspect of tourism is the interaction between the foreigner and the North Korean. At least the visitor gets to see the inhabitant as he really is and vice versa. 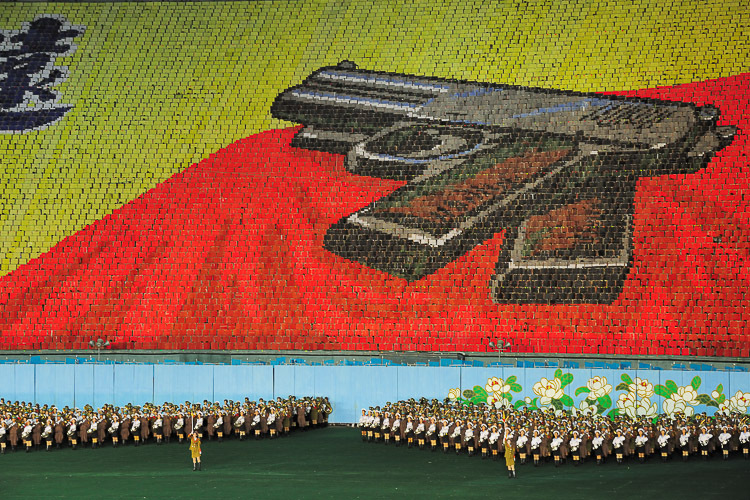 Travelling to the DPRK raises a corner of the veil for both sides. Perhaps this interaction will pave the way for more freedom and peace for everybody. 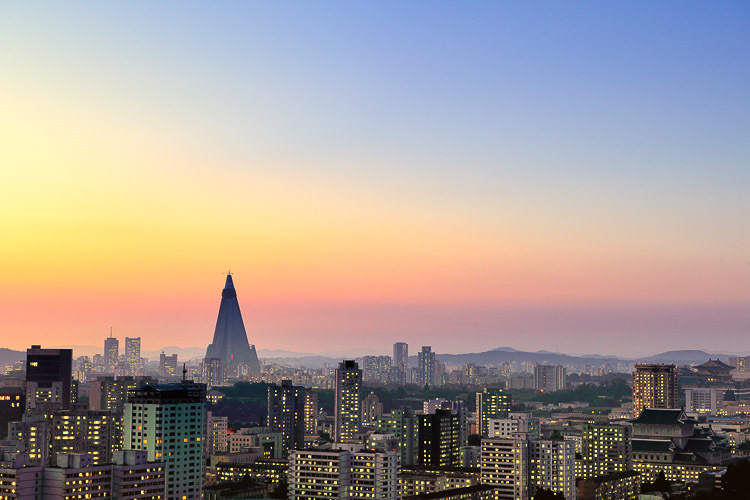 All you need as a tourist (apart from a chic tie) is an open mind and the belief that something human lies behind a country like North Korea, despite negative reporting in the West. Discovering one of the most secretive countries in the world does have its own strange aspects and rules. As a true and seasoned traveller you now have everything in perspective. 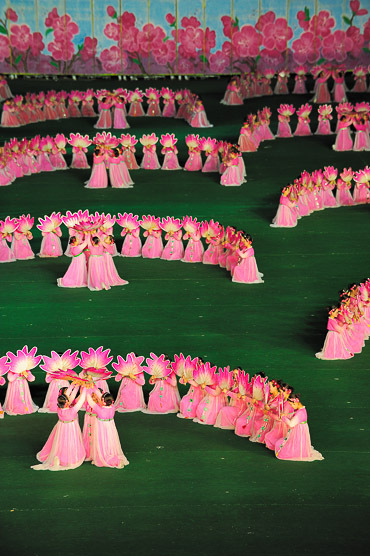 5.Are the Mass Games really so spectacular? Yes, yes and yes! There are only a few words to describe an event of this size and impact. 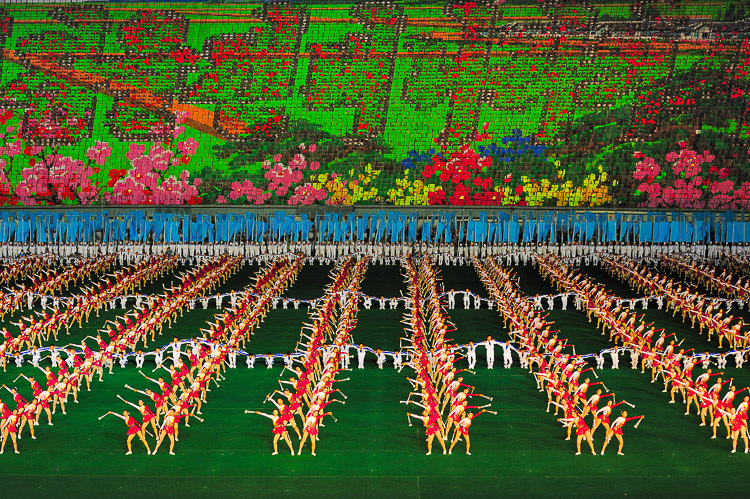 This is DPRK’s main attraction and quite simply the most amazing thing you will ever see! 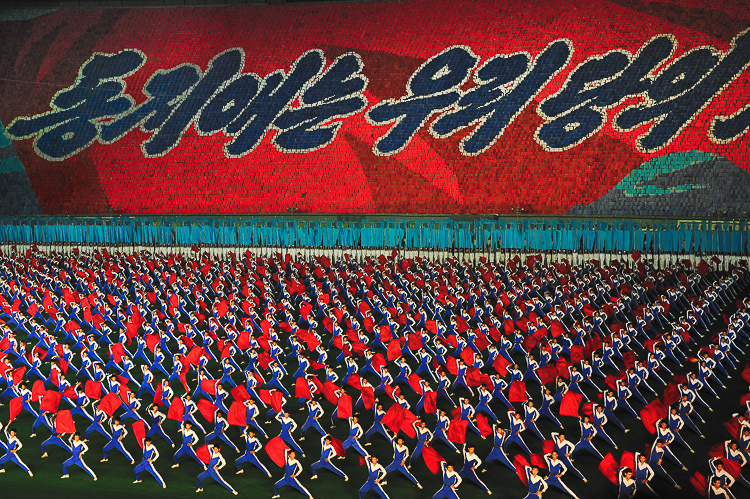 Mass Games can basically be described as a synchronized socialist-realist spectacular, featuring over 100,000 participants in a 90 minute display of gymnastics & dance, accompanied by music, all wrapped in a highly politicized package. Literally no other place on Earth has anything comparable and it has to be seen with your own two eyes to truly appreciate the scale on display. 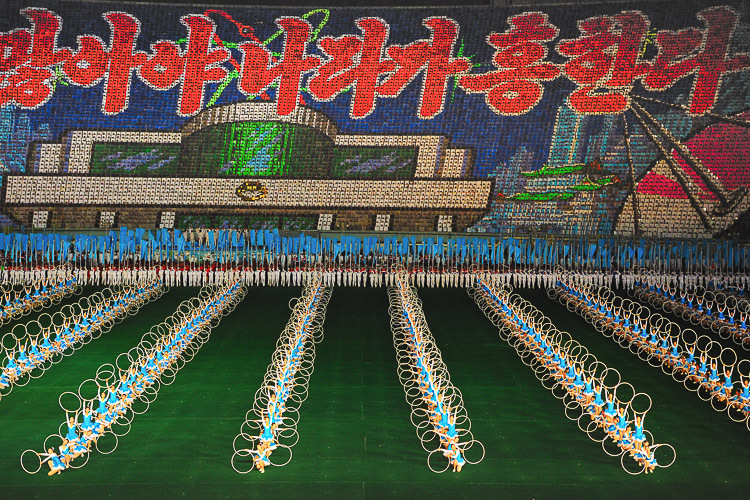 The Arirang or Mass Games run weekly each year from July/August and continue until mid September. 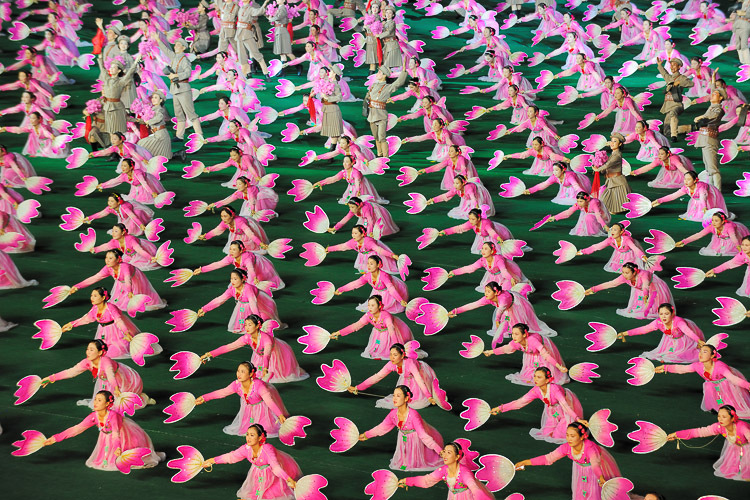 80.000 dancers and gymnasts train throughout the year to perform for their compatriots and especially for their leader. 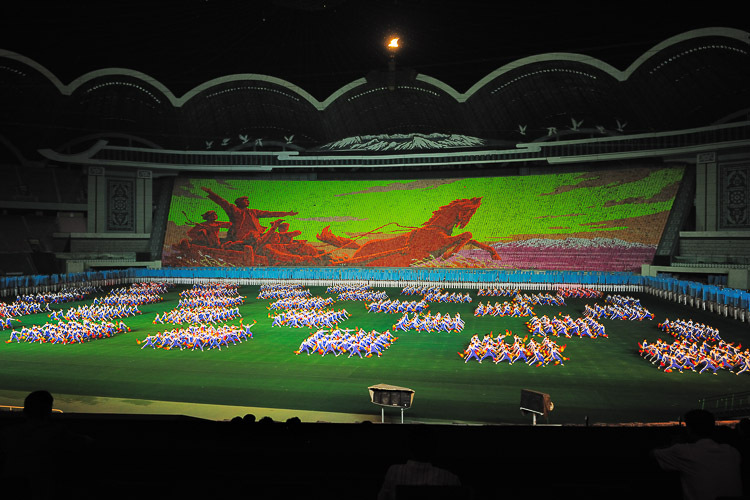 The backdrop is made by over 20,000 cardholders who sit in the audience and make patterns appear through the synchronized turning of colored cards. As a tourist, attending and taking photos of these events is absolutely no problem. Prices for an evening range from 130 dollar for third class seats to 450 dollar for VIP seats. Want to see yourself? Check out the “I want more” video from the music band Faithless, filming made possible by Koryo Tours. 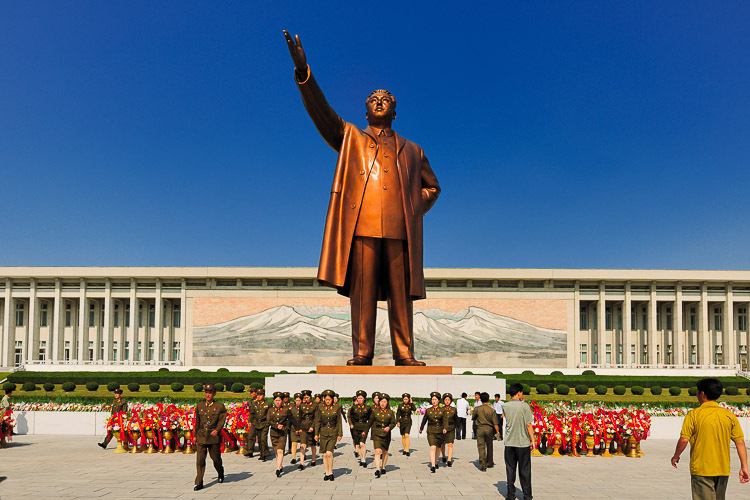 THE VERDICT We totally loved traveling to North Korea with Koryo Tours. It was one of the most surprising trips we ever did in last years. From the interesting group of travellers we met during the trip to singing karaoke and socializing with the locals while having a drink and rolling a cigarette together. The highlight? 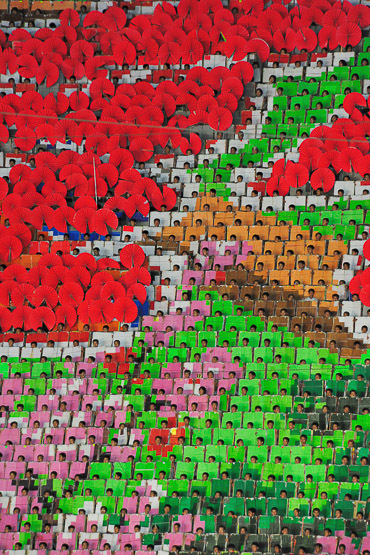 The Mass Games, a mind-blowing event (we went two times) that can only be witnessed here in the DPRK. 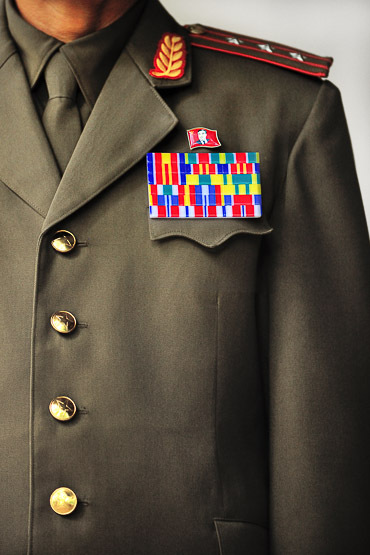 If we would go back to North Korea? Yes, in a flash. 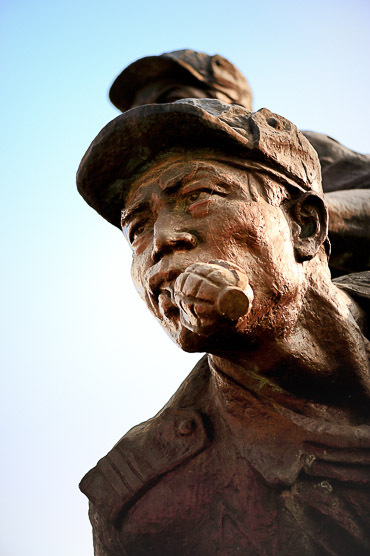 HOW TO GO The British travel company Koryo Tours organizes excellent! 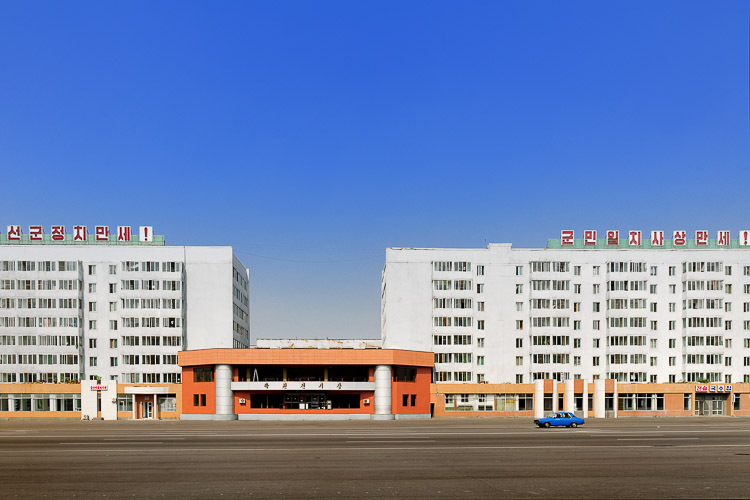 trips into the DPRK out of Beijing. 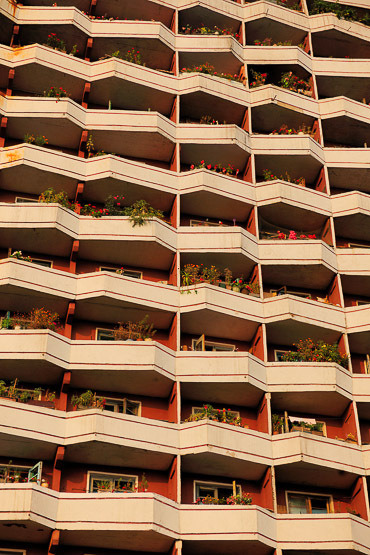 Trips can be made in a group or individually, according to your own budget and wishes. 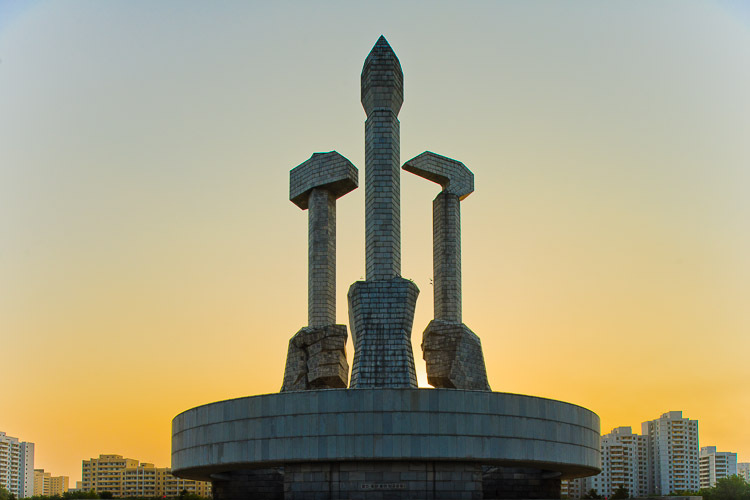 For travellers with less time, you can book a Mass Game Break that lets you witness the Mass Games and discover Pyongyang in a couple of days. Departure is always out of Beijing and depending on the type of trip you have booked this is either by flight or by train. Flying is with Air Koryo, which has 3 flights a week to Beijing. The flight only takes 1,5 hours in a comfortable airplane in economy and business class configuration. 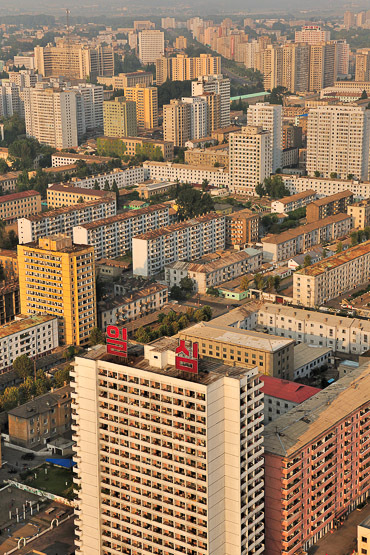 WHERE DO YOU STAY Lodging in the DPRK is very straightforward. 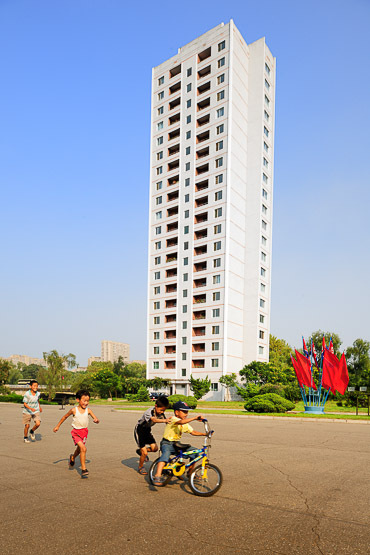 In Pyongyang we stayed in the super cool 47-storey Yanggakdo Hotel. It is a western 3 star (Chinese 4 star) equivalent and equipped with a revolving restaurant on the top floor, bars, shops, swimming pool, bowling, casino, and other entertainment facilities such as Karaoke. The hotel has reliable electricity, heating, air conditioning, hot water with even foreign TV channels including BBC World and Japanese and Chinese TV, and internet access is available. In a small café beside the hotel, bottled beer is served at 0,40 euro a throw. 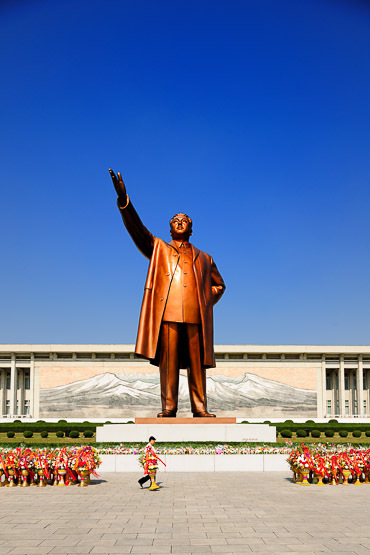 VISA & MONEY A visa for North Korea is easily obtained with the help of Koryo Tours. 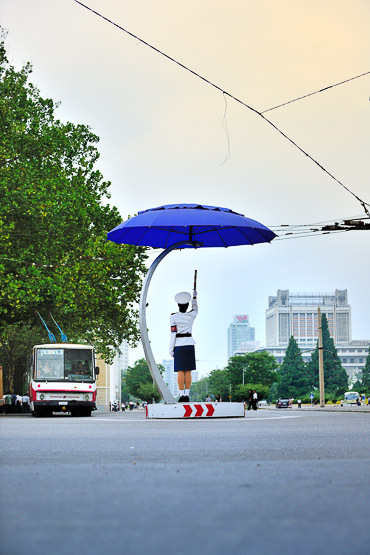 They will apply the visum for you, so there is no need to organize it yourself. The official exchange currency in DPRK is now Euros (USD were taken out of circulation in 2003). 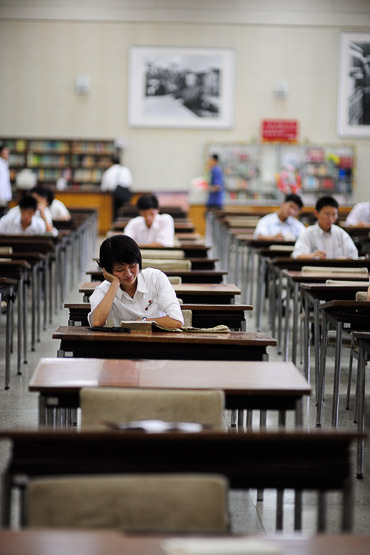 We recommend you bring Euros however Chinese Yuan, USD, and Japanese Yen can be used in most cases. It is best to bring small bills/coins as change can be a problem. 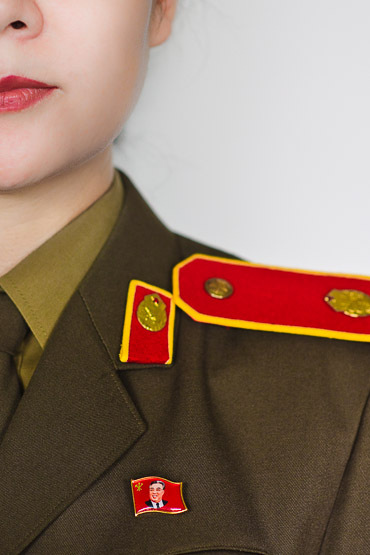 Travellers’ cheques are impossible to cash in the DPRK. 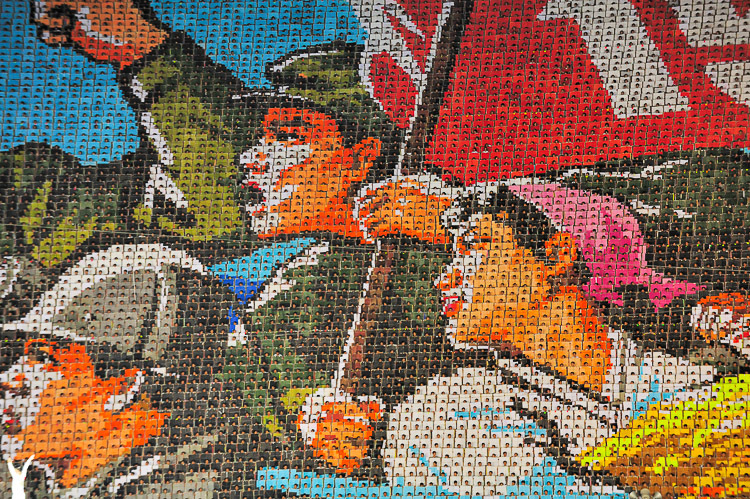 The official currency, the DPRK Won is now valued at roughly 170 won to 1 Euro. It may be possible to get hold of real DPRK money in the hotel but this is for a souvenir only and cannot be used to purchase goods. 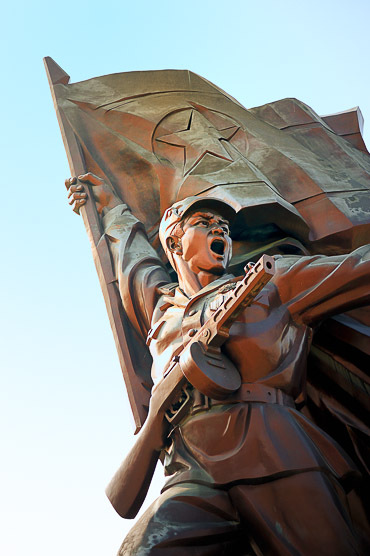 The best currency to use when buying goods remains the Euro but keep in mind that all goods sold to visitors are rather expensive.Tipping is appreciated in North Korea. For example 5 euro per day for the guide is a good amount. In restaurants or bars, it is at your own discretion if you want to tip the waitresses or not. 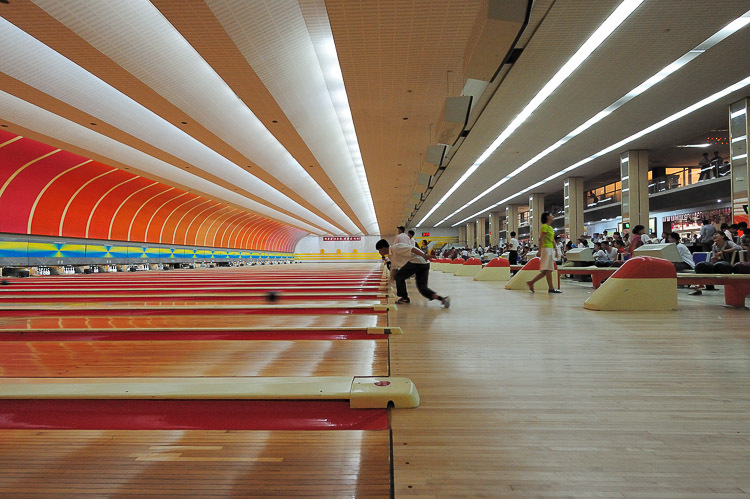 CLIMATE We highly recommend to go during the summer months, when the Mass Games take place. 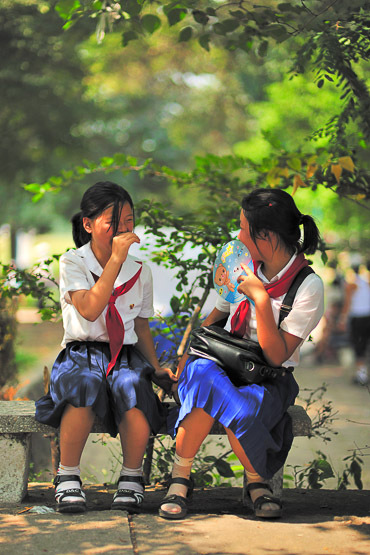 Summer however is fairly hot and humid during the day and cooler at night.